The latest GOP culture war casualty is none other than Rep. Paul Ryan, Mitt Romney's pro-life running mate in 2012. Ryan now says he supports gay adoption (click here for the story). Disappointing, yes – but, hey, at the end of the day, he's a politician. Few politicians have the guts to go completely against the zeitgeist, and Ryan is just the latest to fold. Also of note is Dr. Mark Regnerus' study – which, not surprisingly, caused the homosexual lobby to throw an absolute hissy-fit – that "show[s] rather clearly that children raised by gay or lesbian parents on average are at a significant disadvantage when compared to children raised by the intact family of their married, biological mother and father." Click here for a summary of Dr. Regnerus' findings. 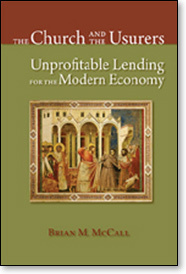 The following are excerpts from the preface to the recently-published book The Church and the Usurers: Unprofitable Lending for the Modern Economy, by Brian M. McCall, professor of law at the University of Oklahoma College of Law. 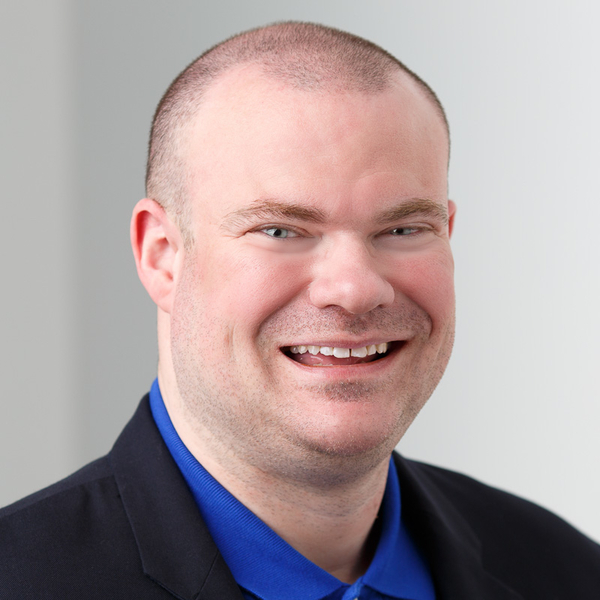 The preface was written by Anthony E. Santelli II, Ph.D., founder and portfolio manager of AES Capital and board member of the Catholic Finance Association. Thanks to Professor McCall for allowing me to reprint these excerpts. Click here to order a copy of the book. The causes of the economic crisis that began in 2008 and which continues today (in 2012) are the subject of dozens of books and thousands of articles. Everyone has on their minds questions about what will lead to economic recovery. And most want to understand what got us into this crisis in the first place so that laws and regulations can change in a manner that would prevent such a crisis from happening again. The root cause is usury. Few understand this. Indeed, few would even use the term. Debt, both personal and government, compounds at rates of interest that exceed the growth rate of the economy. Consequently, it becomes harder and harder for people and governments to pay their debts because average salaries increase at the rate of economic growth (minus population growth). Massive defaults and an economic crisis would have occurred years ago, but for the fact that interest rates have continued to decline since the early 1980s, making it less costly to finance a given magnitude of debt, or, rather, enabling people to carry larger and larger debt loads with equal monthly payments. Nevertheless, the rate of interest on people's mortgages and credit cards has continually been higher than the growth rate of the economy (or the growth rate of their salaries), and so it has continued to become more and more difficult to pay it off. When debts rise faster than assets, at some point bankruptcy is inevitable. The Federal Reserve, the central bank, tried to restimulate demand through borrowing by lowering interest rates. But this time, the magnitude of the debt already owed was so large that even at zero interest people did not want to borrow. Central bank efforts were ineffective. The debt super cycle came to an end. The last debt super cycle ended with the Great Depression. In the 1930s the government sought to help the economy recover by introducing a wide variety of spending programs. All these did was cause temporary economic relief and increase the government debt; by 1938 the unemployment rate was still over 20%. It took World War II to end the Great Depression. Or, more precisely, World War II was the means by which everyone who was unemployed was given a job, and the masses were forced to save due to war rationing. By the end of the war, the average American had little debt and a lot of savings. Those widely distributed savings were the source of a new economic prosperity that began after the war and continued, with only minor recessions (and an external oil shock), until the crisis in 2008. World War II was financed through government borrowing, leaving U.S. federal debt as a percentage of GDP at its all time highest level at the end of the war. To reduce the magnitude of that debt, the Treasury Department forced the Federal Reserve to hold U.S. Treasury yields on its 10-year bond to below 3% for the entire period from 1942 through 1951. When taking inflation into account, this provided a negative 4.5% annual after- inflation yield. In other words, they deconcentrated the wealth away from the bond holders. This helped restore a wide distribution of wealth and aided in the process of long-term economic prosperity. But this begs the question: what is usury? If we are to pass laws against usury, we need to know how to define it and what the laws need to say. We need to be able to discern the difference between lenders being compensated for loss and lenders earning usury and the difference between money being invested in a corporation in exchange for a fixed rate of return – provided that there are returns sufficient to cover that – and money being lent at compound interest irrespective of the success of the business. Professor McCall does us a great service by addressing these questions in his book. Usury is not a simple topic to understand. It is like completing a Sudoku puzzle. One must spend time and deep thought in order to understand what is and what is not usury. But when you have completed the process, like with a Sudoku puzzle, you recognize that the solution could be no other way. Professor McCall does a lot of that hard work for the reader. This book remains intellectually challenging because the topic is new, or at least new to the modern reader. In fact, the topic is very old. There is a significant body of literature that extends over a thousand years discussing usury, what it is and what it is not. Professor McCall siphons that massive literature down to the few key points that distinguish an immoral loan from an investment. Some of the fine points also raise the issue of a just price. Although I would disagree with Professor McCall as to where he draws the line between usury and a violation of the just price, I agree with all his conclusions about what is immoral and what is licit. In fact, few thinkers who have attempted to tackle this issue have come up with the consistency of right answers that Professor McCall has. This is probably one of the top three books written in the past two hundred years on usury. At the end of this book the reader will be rewarded with a deep understanding of a topic that he probably knew nothing about before. And he will have answers to some of the most important questions of our time.